When one thinks of Islay, the first two things that manifest in their mind would be WHISKY and PEAT. And if they were to delve deeper into the first aspect, the first two names on their mind would be Ardbeg and Laphroaig. Both these distilleries are world-renowned for their distinctive and characterful whiskies of both Age Statement and No Age Statement (NAS) varieties. Both these distilleries utilise large amounts of peat in the production of their whiskies (albeit not as much peat as Bruichladdich use in the Octomore experiments). But most importantly of all, both these distilleries were established in 1815. Now the significance of this year would not be lost on many as it signifies that both these distilleries are officially 200 years old. And considering that both these distilleries knew that such a milestone was upcoming, surely they would have ensured that something phenomenal was created to commemorate it. Which is exactly what they did. 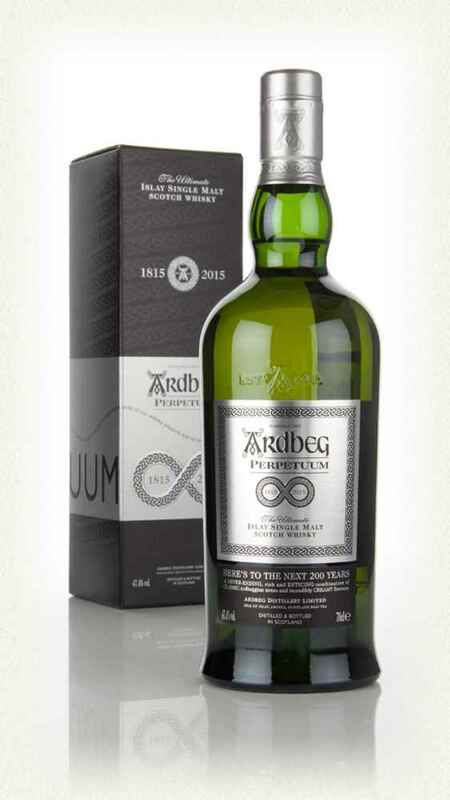 And so, to commemorate such a milestone, Ardbeg decided to release their Perpetuum expression. The Perpetuum is a whisky that has No Age Statement (NAS) and is made from a marriage of “very old and young whisky that has been matured in bourbon and sherry casks”. Perpetuum is a marriage of very old and young whisky taken from bourbon and sherry casks. While the official widely available release is bottled at 47.4% abv, there is also a distillery only bottling of the Perpetuum which has been bottled at a higher abv of 49.2%. I for one am quite curious as to why there is a difference in abv for both bottlings and would appreciate it if someone could shed some light on this. Not to be outdone, Laphroaig decided to commemorate their 200th anniversary with a re-release of their celebrated 15 Year Old expression, which was phased out in 2009. At this point, word on the street is that the 15 Year Old expression may be re-introduced as part of the core range in order to replace the 18 Year Old expression and it is bottled at 43% abv. The Laphroaig 15 Years is bottled for the 200th anniversary of the distillery. Ironically, the old version of the 15 Year Old was phased out in order to accommodate the 18 Year Old, which will now be released as an annual offering during the Feis Ile celebrations. I have mixed feelings about the phasing out of the 18 Year Old expression as it remains my 2nd favourite release from the distillery (after the PX Cask of course). Knowing full well that both bottles were to be released to the general public after Feis Ile 2015, I set out in search for the both of them. As of now, I have yet to acquire either bottling (primarily because my list of priority buys is being dominated by a particular whisky which I shall not mention for now), but I will get to it eventually. I made some enquiries prior to my trip to Melbourne in late June and was notified that Whisky & Alement (them again) had acquired a few bottles of both whiskies as part of the inventory. Naturally, I knew that I had to make a trip down so that I could savour both whiskies for myself. I made my way to the bar and ordered a glass each of both so that I could do a side-by-side comparison. At the back of my mind, I knew that this was somewhat unfair as I was pitting a NAS expression against an expression with an established age statement. But this view was also counterbalanced by the fact that this was an Ardbeg after all. 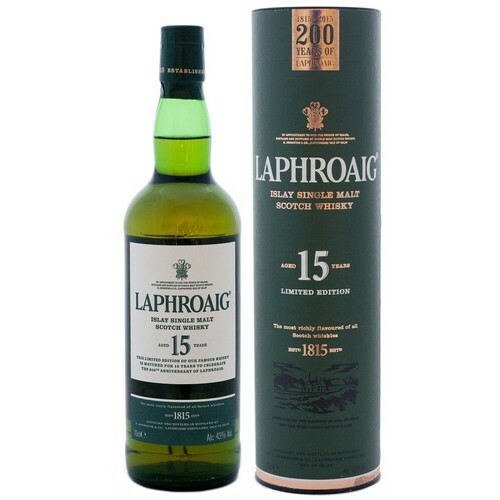 The Laphroaig set me back AU$18 while the Ardbeg was on offer and I managed to snag it for a very reasonable AU$13. And with that, it began. 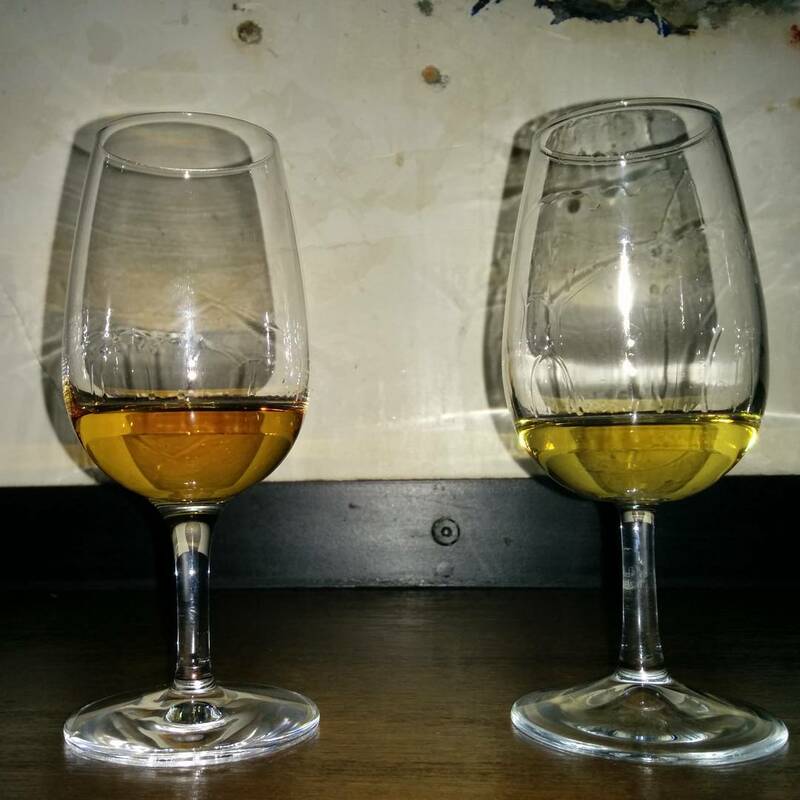 Laphroaig 15 Years Old 200th Anniversary (Left) vs Ardbeg Perpetuum (Right). Nose: Classic Ardbeggian nose, with hints of roasted barley, sweet peat and a touch of coastal saltiness. The maltiness comes to the fore after a while, followed by the sherried notes and some barley sugar. Pine resin, candle wax, nutmeg, star anise and some intense dark chocolate appear later on, with just a whiff of beach bonfire. Palate: Coats the mouth well, with sweet peat and the warming spices from the nose particularly prominent. The peat takes control of the proceedings after a while, with the phenolic elements intermingling well with some of the sherried notes. There’s a dollop of sweetness mid-palate, with a rich maltiness and some barley sugar making an appearance. Finish: Medium to long finish, with the spices from the palate and the peat interplaying with one another. Quite a well balanced dram and the mouthfeel is satisfyingly oily. Nose: Somewhat astringent, with nail polish, acetone, traces of TCP and iodine definitely in there. Some tropical notes make an appearance after a while, with banana, mango and apricots presenting a veritable fruit salad. Some barley sugar towards the end rounds off a very interesting nosing experience. Palate: Sweet peat and the fruits from the nose are the bedrock of this dram, which makes it very unlike your standard Laphroaig experience! Starburst lollies, some restrained smoke and phenolic elements make this rather complex. There’s just a hint of barbecued meat at the very end, which is typically Laphroaig-esque. Finish: Long and lingering, with more of the delightfully unexpected tropical fruit notes and some spiciness largely in control of the proceedings to the very end. Very sophisticated dram and definitely very moreish as well. Mouthfeel is oily for the most part and the relatively standard abv of this dram allows the different nuances to shine through. I would have to award this one to the Laphroaig as it exhibited some rather unexpected and yet wonderfully refreshing nuances which I had otherwise never expected in a Laphroaig. This is not to say that the Perpetuum is an inferior dram, of course, as it held its own for the most part but was not as complex and (dare I say it) interesting as this particular Laphroaig. Overall, quite a close battle but there were some characteristics which stood out far more memorably than others. I would definitely recommend purchasing both expressions though and I fully intend to do just that sometime down the road. Interesting (although probably predictable) outcome. I’d love the opportunity to taste these two side by side, as I have had the both of them and enjoyed them in different ways. Admittedly when I had the 15 it was at the very end of a whisky live session and after nearly 4 hours of whisky drinking my tasting notes were, shall we say, blurry. Anyway, great article as always. One day surely we’ll be in Melbourne at the same time and hit up the ol’ Whisky and Alement for a dram. Cheers Nick! Aye I would definitely recommend tasting them side by side as it’s a rather interesting comparison in some ways. Defs looking forward to meeting up with Ted and you one of these days (either in Melbourne or when I make the trip to Tasmania sometime next year)!